At Hydrodynamics Group, we tailor our Team Approach to our clients’ unique projects. Clients will be working with Team Members who have owned geological consulting and drilling firms, who have managed technical divisions within major engineering consulting firms, and managed research groups with government agencies. We understand that the technical expertise required to solve our clients’ problems is unique to each project. Michael King, as central project manager for Hydrodynamics, offers a strong project management structure backed by his hands-on project, field geology experience, and working with compressed-air energy storage. Our team members have worked with Hydrodynamics for many years with a clear team goals-oriented approach to each project. John Bredehoeft started work in ground water in the 1950's after receiving his PhD. at the University of Illinois. Dr. Bredehoeft worked at the U.S. Geological Survey for 43 years. At the USGS he engaged in both research and high-level management. He is the author of more than 100 research papers in the refereed scientific literature. In the 1970's, Dr. Bredehoeft managed the entire water research program of the USGS. In the early 1980s, he was the West Coast Regional Manager for the USGS, responsible for all water activities of the agency in the eight western states. In 1995, Dr. Bredehoeft left the USGS to start Hydrodynamics with Michael King. Dr. Bredehoeft is Technical Director of the Hydrodynamics nuclear waste facilities projects, such as Yucca Mountain and the Savannah River Plant. John is also in charge of our technical litigation support for our firm. He is key in providing technical direction and support in all of Hydrodynamics projects. John is in charge of numerical ground water modeling for Hydrodynamics and is well-versed in numerous ground water simulation codes. Dr. Bredehoeft was inducted as a member of the United States National Academy of Engineering and the Russian Academy of Natural Science. He received the distinguished M. King Hubbert and O.E. Meinzer Awards for geological excellence, and received the honored Pemrose Medal from the Geological Society of America. Michael King is the Managing Partner of Hydrodynamics and a Registered Geologist, Certified Engineering Geologist, and Hydrogeologist. Mr. King received his M.S. in Geological Engineering from Rolla School of Mines, and has over 36 years of experience in the field of gas storage engineering, environmental engineering and hydrogeology. Mr. King started his career as a natural gas storage engineer for Natural Gas Pipeline Company responsible for gas storage operations at 4 natural gas aquifer storage fields in the Midwest. Mr. King joined URS/John A. Blume Engineers where he conducted geological engineering studies for high level nuclear waste disposal, seismic design of numerous nuclear power plants, and began some of the original work on compressed air energy storage (CAES) in aquifer structures. In the 1980's, Mr. King became a partner in a water well drilling company where he was responsible for drilling over 500 water wells, and conducted numerous ground water basin resource studies. It was during this period that Mr. King purchased natural gas and CAES storage rights to the Lodi gas field in California that is now an operating gas storage field. Mr. King is in charge of Hydrodynamics daily operations. He was Project Manager of Inyo County's Yucca Mountain Nuclear Waste assessment program. Michael has conducted over 12 CAES studies in aquifer and depleted natural gas fields. He also conducted natural gas storage and shale gas development studies in the Republic of Georgia. Michael was on the Electric Power Research Institute's Technical Review Committee for compressed-air energy storage at the Pittsfield, Illinois aquifer test facility. Dr. John Jansen received his Ph.D. from the University of Wisconsin and is a registered Professional Geologist with over 30 years of experience in the field of surface and bore-hole geophysics, and groundwater hydrogeology. Dr Jansen's career includes work with exploration geophysical companies. It is during this period that Dr. Jansen invented the Airburst™ well rehabilitation technology (US patent 5,579,845). Dr. Jansen is Hydrodynamics Team Leader for projects requiring geophysical studies. Dr. Jansen has worked with Hydrodynamics for the past 10 years. Specific geophysical surveys conducted for Hydrodynamics include surveys for groundwater development, deep geophysical well siting surveys in wilderness areas of Death Valley California, and seismic reflection surveys for CAES siting studies. Dr. Jansen has authored over 60 publications and technical presentations, and is on the Board of Directors for the Environmental and Engineering Geophysical Society. 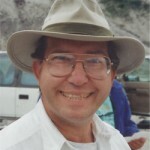 Dr. John Apps received his Ph.D. at Harvard University and has over 45 years of experience as a research geochemist. 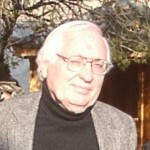 Dr. Apps has a distinguished career with Lawrence Berkeley Laboratory (LBNL), University of California, Berkeley, California and is a Senior Scientist Emeritus at LBNL. Dr. Apps is best known for his research in the chemistry of nuclear waste in unsaturated and saturated zones at the Yucca Mountain Nuclear Waste Facility. Dr. Apps evaluated chemical reactions with the mixing of air and natural gas in a depleted gas field for CAES for Hydrodynamics. Dr. Apps is Hydrodynamics Lead Scientist of analysis of potential chemical reactions between air and natural gas for CAES. Michael McGill received his MBA and Masters in Mechanical Engineering at the University of Louisville and has over 35 years of experience in the electricity and natural gas industries. Mr. McGill's career includes technical and commercial aspects of business development, project development, gas storage, CAES, energy purchasing, electricity and natural gas sales, and regulatory compliance planning and management. 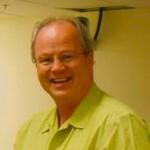 Mr. McGill has worked with Hydrodynamics since 1999 starting with the development of the Norton Mine in Ohio for CAES. 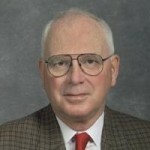 Since that time Mr. McGill's work with Hydrodynamics has included both technical and market development for over 10 CAES projects, and the economic analysis of natural gas storage in the Republic of Georgia. 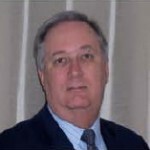 Mr. McGill co-authored a publication with Michael King on CAES for the Encyclopedia of Energy Engineering and Technology. Goals oriented approach to project management. Depth of technical expertise of team members. Team members have worked with Hydrodynamics for many years. Hydrodynamics field geology team consists of three senior level geologists who formerly worked for the U.S. Department of Energy Yucca Mountain Sample Management Facility (SMF), and have managed field drilling operations for Hydrodynamics for the past three years. Chris Lewis heads up our team and was former manager of the SMF facility. Mr. Lewis has 22 years of experience in the areas of project management and operation of field activities and remote facilities, quality assurance, quality control, drilling and sample management. 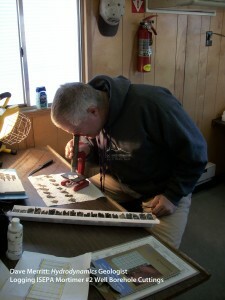 Dave Merriott was a staff geologist at the SMF and has over 20 years of well site and exploration drilling experience. Walter Slack was a staff geologist at the SMF and has over 25 years experience in minerals exploration, management of field drilling operations, and mine management.